A New Dawn for the Bass Fishery? Home → News → A New Dawn for the Bass Fishery? The EU Commission’s proposal today for the Northern bass stock in 2017 potentially represents a turning point for bass and sustainable bass fishing, provided the EU Fisheries Ministers agree it in the Fishing Opportunities meeting in December. Our sincerest thanks to all of you who have supported us in lobbying the EU Commission. United we are a powerful force for change. We have been here before – last December, we saw the EU Fisheries Ministers water-down the proposed moratorium and increase vessel catch limits for fixed netters. So it is absolutely essential that between now and mid-December, recreational anglers and sustainable hook and line fishermen get fully behind our campaign to write to our Fisheries Minister, George Eustice, telling him to agree the EU Commission’s proposal in full. Watch this space for details on how to get involved and get your voice heard! o January and April to December: up to 10 tonnes per year. This would mean gill and trammel nets are completely excluded from the bass fishery in 2017. 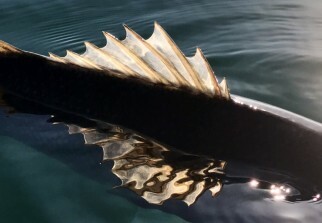 The bass stock is in trouble, but the proposal to restrict the bass fishery to the most sustainable forms of fishing only: recreational angling and commercial hook & line, now gives us real hope that the stock can recover and in a few years’ time we will be able to enjoy an abundant bass stock. 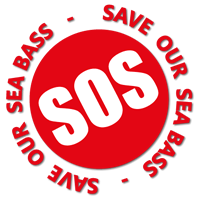 However, we are sad to note that these measures do not appear to have been extended to the Bay of Biscay bass stock – we will not give up this fight! Best Wishes from the Save Our Sea Bass team on this important day.